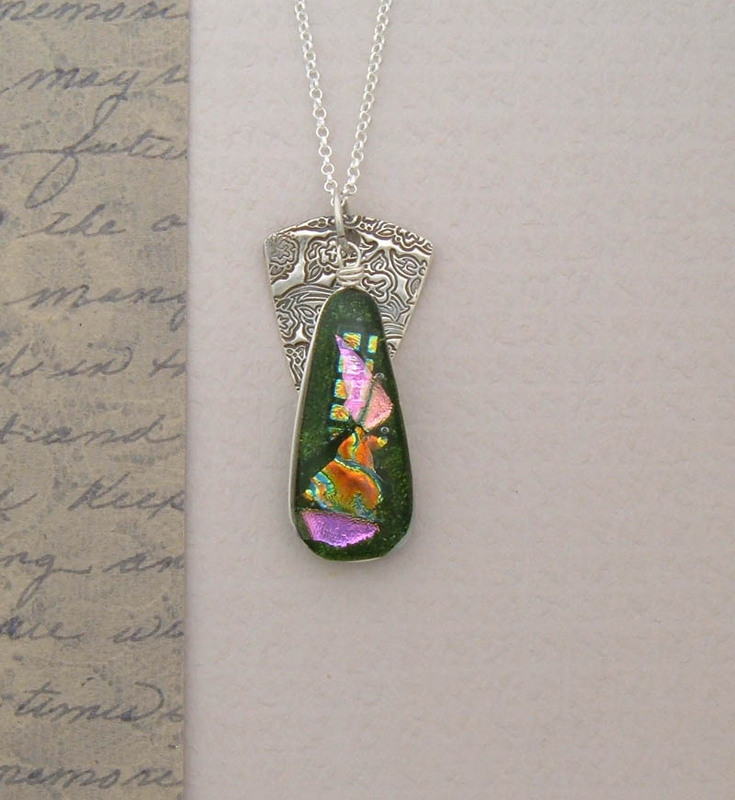 Renaissance times comes to mind when you wear this notable piece. 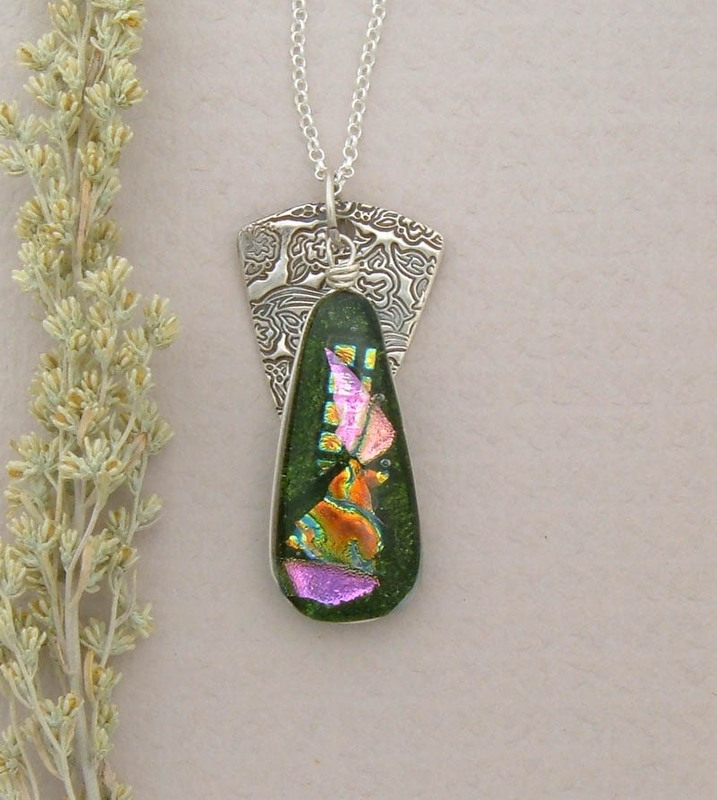 The dichroic glass is encased within emerald glass which sits upon a substantial 99% fine-silver backing. 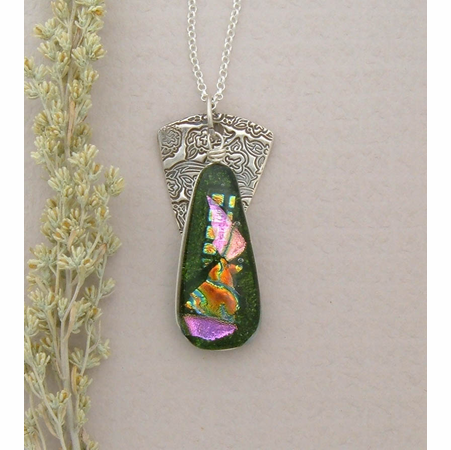 Truly a unique art glass pendant that is timeless. Sterling Silver Plated Rolo chain included.